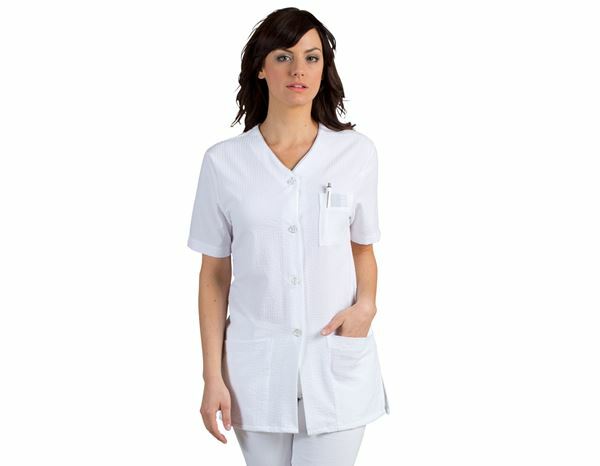 Short sleeve tunic with unobtrusive grey trimming on chest pocket, buttons, V-neck. Two patched pockets, one chest pocket, comfortable side slits. Easy care seersucker fabric.